Welcome to Hanson Bodyshop Online. 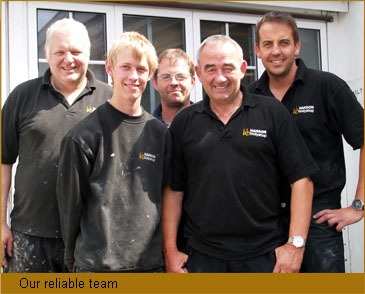 We are a family run business that has been providing excellent service, quality repairs and bodywork for over 30 years! Paul Hanson has been running the business for over 10 years - keeping up the traditions of service and skill that have seen our customers returning time and time again. With the launch of our new website we are taking the business into the twenty first century - combining modern technology with all the elements that make us such a reliable business. As an independent car body repair shop, we carry out work for all the major insurance companies. we also cater for the private motorist who just wants to keep their vehilcle in tip-top condition!